Floriography is the term sometimes used for the language of flowers. A specific arrangement of flowers and colors would send a message the recipient would understand and then reply accordingly. For instance if a man wanted a particular lady to return his affection, he might send her an arrangement of jonquils (return my affection). If she was interested, she might have sent him some ambrosia (love is reciprocated). 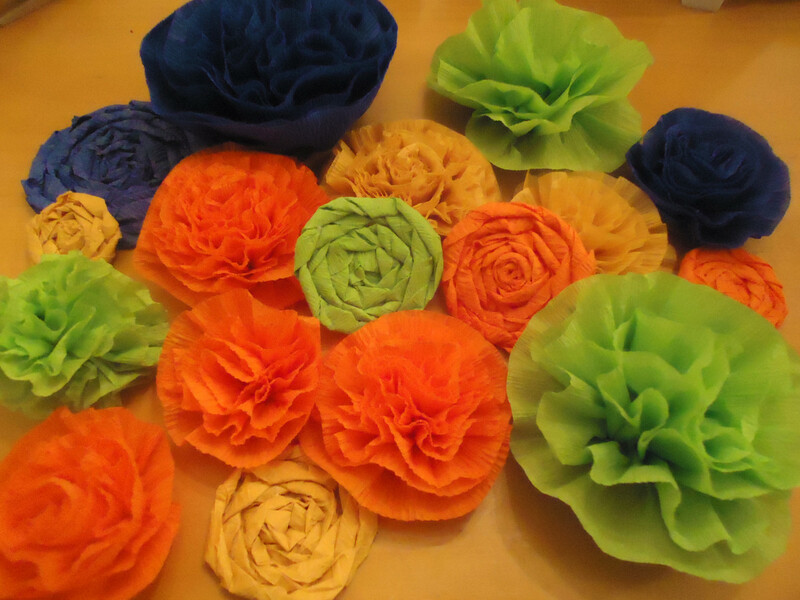 Meanings and symbolisms were assigned to flowers by folk cultures around the world. The art of secretive Victorian flower language may have faded with the past, but symbolisms are still in use today. The meanings of colors are pretty much the same for all flowers. For instance, white is symbolic of innocence and pure love. Red conveys passion, love and energy. Yellow is showing disdain or rejection - yet, sometimes yellow can be symbolic of blossoming love or friendship. Let's take a look at some species of flowers that speak their own language. Flowers are listed alphabetically with their botanical name in parentheses. 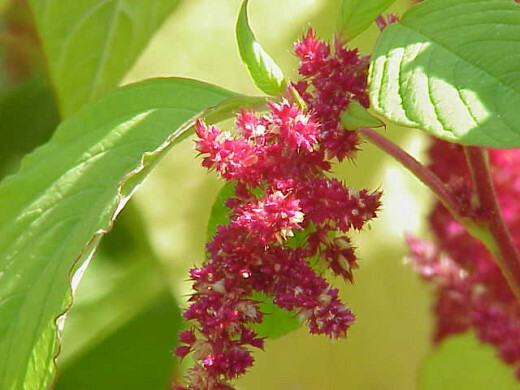 The amaranth is symbolic of immortality. It is representative of perfect, pure and lasting love. It does not wilt and the blooms last much longer than other flowers. In "A Vow To Heavenly Venus," ca. 1500, the French poet Joachim du Bellay wrote a poem in tribute to the goddess. 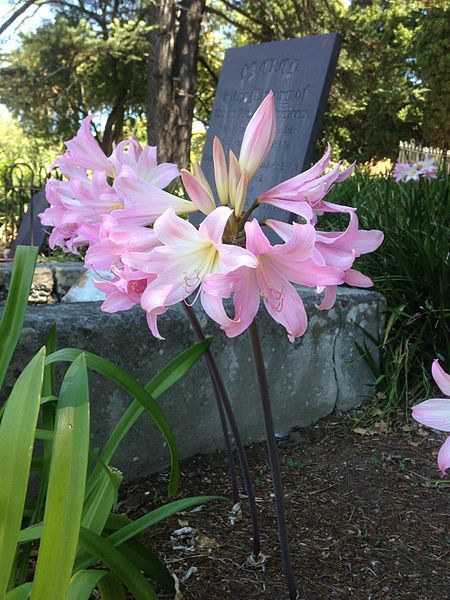 The Amaryllis is symbolic of exquisite beauty. Graceful, slender and a profusion of gorgeous blooms often grow in a secluded garden space where a wanderer on a meandering path will be delighted with the lovely sight. 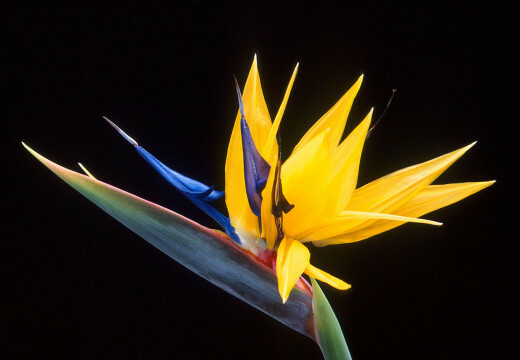 This exotic flower denotes magnificence and joyfulness. It can also send a message of exciting anticipation. 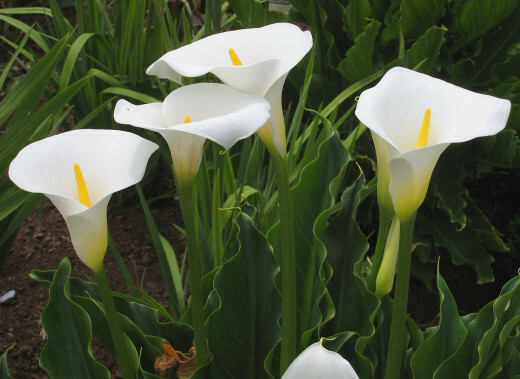 The elegant simplicity of the white Calla Lily is symbolic of magnificence, beauty, innocence and purity. The white carnation is a sign of innocence, pure love and good luck. A light red carnation is for admiration and dark red is a sign of deep love and affection. Pink is symbolic of the love of a woman. Purple carnation is capriciousness. 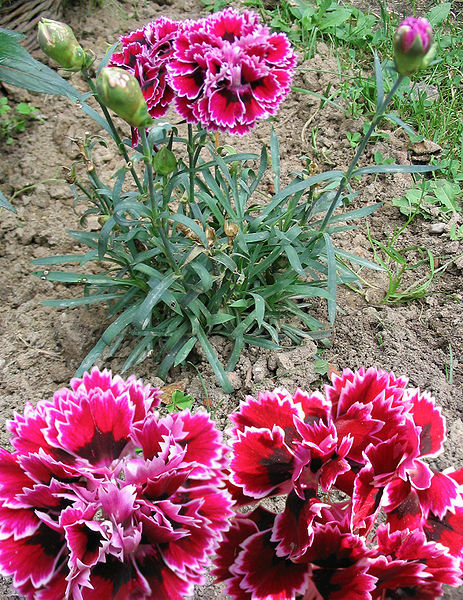 A striped carnation is a sign of regret that love cannot be reciprocated. A yellow carnation, is symbolic of disdain or rejection. 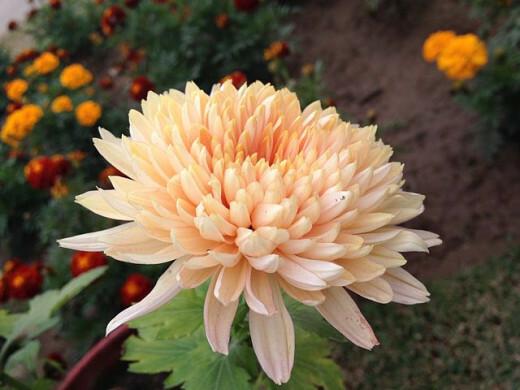 A chrysanthemum is symbolic of fidelity, joy and a long life. A white chrysanthemum is representative of truth and loyalty in love. A red one conveys love. Yellow is for slighted love. 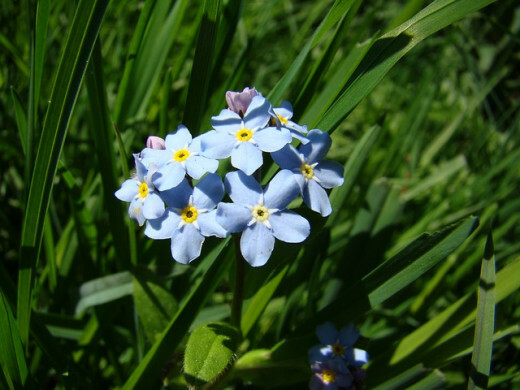 A favorite flower of many, the forget-me-not, is symbolic of remembrance. If one wears the flower it assures them they will be remembered by their beloved. Ladies wore a small posy of forget-me-nots as their symbol of faithfulness and enduring love. The mouse-ear forget-me-not, Myosotis laxa, has now extended its racemes very much, and hangs over the edge of the brook. It is one of the most interesting minute flowers. It is the more beautiful for being small and unpretending; even flowers must be modest. The term narcissus refers to the daffodil, jonquil, Lent lily, as well as the narcissus itself. All the species are in the same family as the amaryllis. 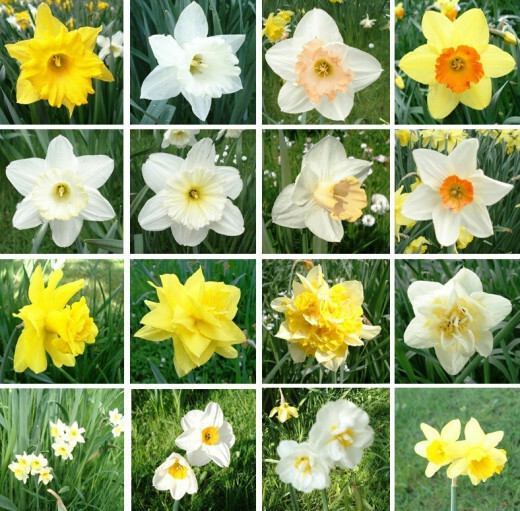 In the narcissus cultivars there are about 50 species, some are shown in the image below. All the narcissus are symbolic of rebirth and new beginnings since they are some of the first flowers to bloom in the spring. They are also considered an emblem for prosperity. There is a saying in Wales that one who spots the first daffodil in spring will have an abundance of wealth for the next 12 months. It is also reflective of cheerfulness. A bouquet of daffodils is given to ensure joy and happiness - yet just one daffodil given can be a sign of misfortune. The Viola is also called Johnny-jump-up, heart's ease, or love in idleness. In William Shakespeare's popular play, Midsummer Night's Dream, Oberon, king of the fairies, instructs Puck to help him make a concoction of magical juice from the flower "love-in-idleness" (Viola). The flower turns from white to purple if Cupid's arrow has touched it. So, when the magical concoction is applied to the eyelids of a sleeping person it will make that person fall in love with the first thing he or she sees upon awakening. 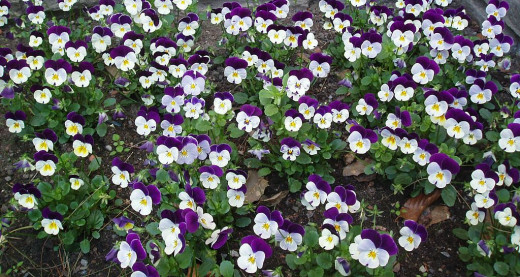 The Viola is in the pansy family and carries the same symbolic meaning, which is cheerfulness for the name "heart's-ease" or a lover who is so enamored by his beloved that he can think of nothing else and remains idle, thus the name "love in idleness". 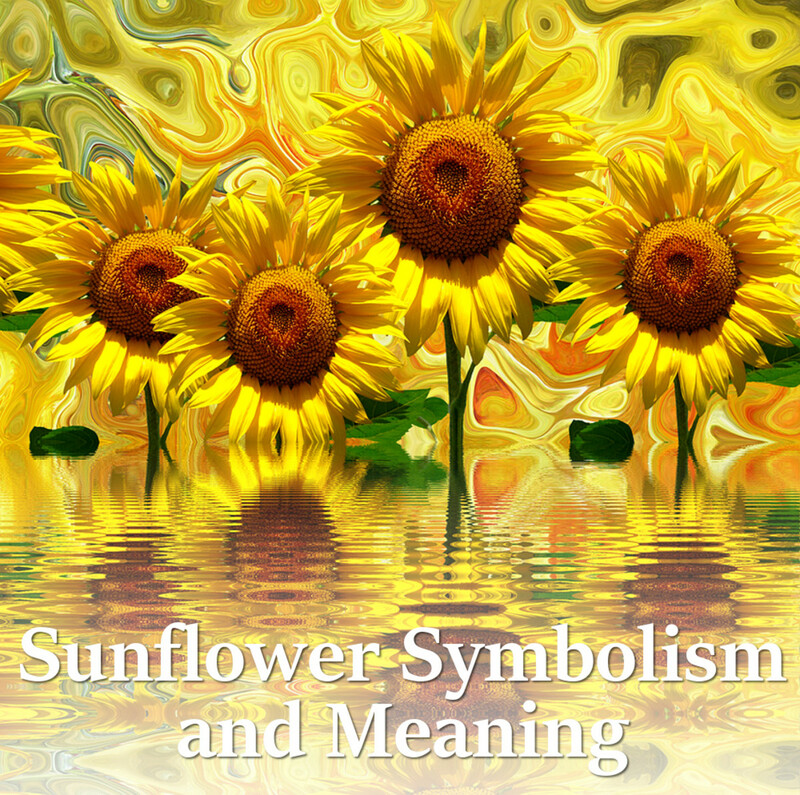 Do you have a favorite flower and love the symbolic meaning of it? Yes, I do and will share my thoughts on that in the comment section. I never really had a favorite flower, but now am considering choosing one. Flowers have their own language? Are you serious? Many cultures have their goddess of spring and flowers in mythology. Since ancient times flowers have been used as symbols of love and affection, youth, beauty, pleasure, purity and passion. They have been given as a token of friendship, to express intentions or feelings, given as gifts for achievements and to express sympathy for the families of loved ones who died. Traditions we picked up through the centuries came from the tributes and flowers given to the gods and goddesses of mythology. In myth and legends flowers have played important roles in life and death. 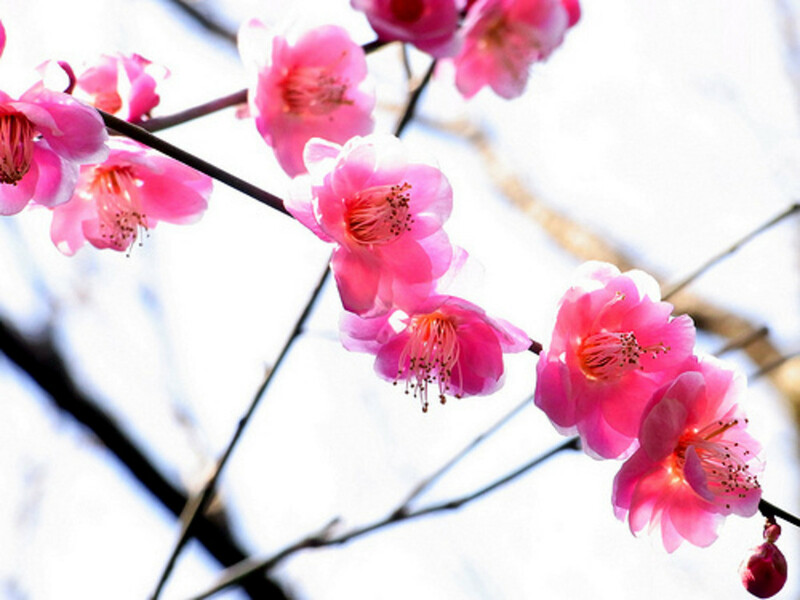 The flowers that bud and burst forth in spring are symbolic of new birth, youth and beauty. When the flowers end their season and return to Earth it is symbolic of the passage of time and eventual death. Persephone, the Greek goddess of Spring, is symbolic of rebirth, renewal, growth and fertility. In the fall when all flowers died she returned to the underworld as Queen of Hades in the realm of the dead. 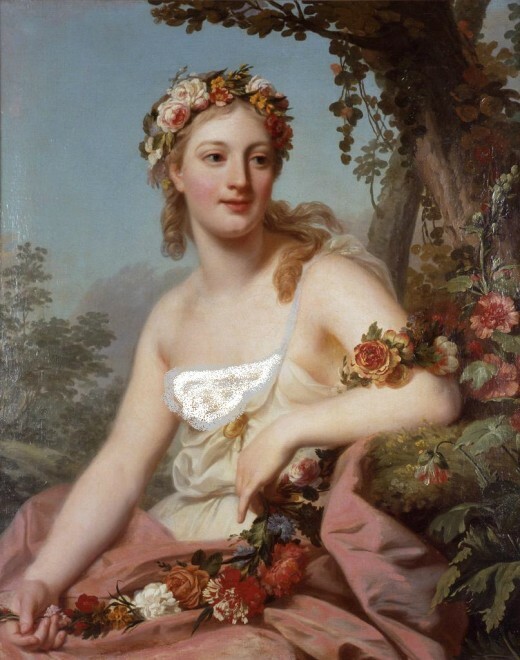 Flora, the Roman goddess of flowers, signified the importance of the spring and youth. Floralia was the Roman festival held in honor of Flora. From April 28 through May 3 the joyous celebrations were for the renewal of the life cycle. The floral goddesses are all symbolic of spring after winter - life after death. 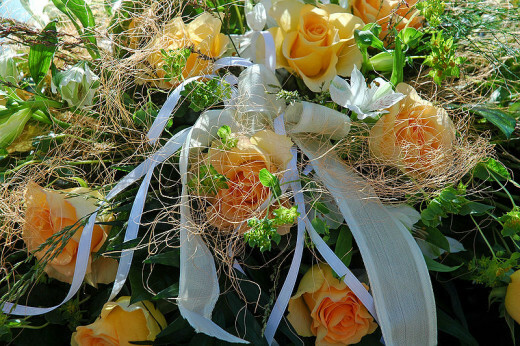 The practice of placing flowers on graves may have come from ancient times that symbolize the hopes of eternal life after death. The Lotus flower is a divine symbol in Asian cultures. 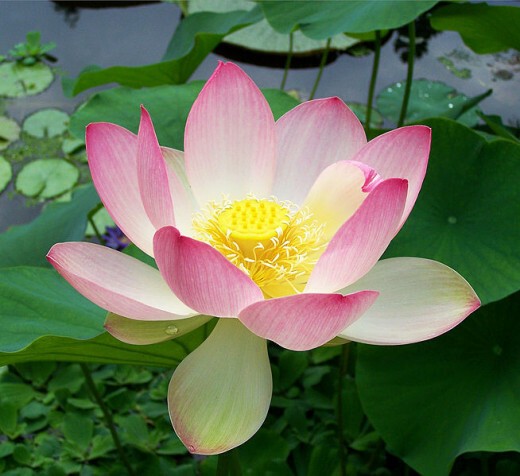 It is referred to as the Sacred Lotus in India and other countries. It is highly revered in Hinduism, always portrayed in images of Vishnu, Lakshmi, and Sarasvati. The Lotus roots grow in the dark murky mud at the bottom of rivers or a pond. As the plant grows it sends up a large leaf. From the leaf grows the beautiful Lotus flower. It is not touched by water or the murky mud below - it rises above the darkness to be seen in all its divine splendor. Yes, that is true. The Lotus is sacred to Buddhists. Hi ocfireflies - thank you very much for such a lovely comment. It would be hard for me to pick a favorite flower also. I love flowers and marvel at their beauty and ability to bring joy to us. Thanks again for the visit, the votes, sharing and the blessings. I said in the vote I would share my favorite flower which is really hard to do since I am not sure of a flower I do not like, but peonies and dahlias would top my list. This is a beautiful hub just like its author. Voted up and shared. Hi Akriti. Glad you like my hub. Carnations are lovely and smell so nice. Thanks for reading and commenting. Thank you so much, Ann. Daffodils are like a spot of sunshine - I love them, too. I am glad you like the hub so much. It took quite a bit of research and time to find the right images and meanings. Thanks again, Ann. Wow! This must have taken some research. My favourite flowers are daffodils; they herald the Spring and are around just before my birthday, sometimes still hanging on. They brighten the garden and therefore my life. I also love forget-me-nots, although the ones in your photo don't look like the ones we have in Britain; ours are much smaller and delicate and often grow wild. Lovely hub, full of beauty and joy. I knew you meant flower. Right ... blame it on the keyboard. LOL !!! sorry meant to say flower, its this stupid computer keyboard! lol! Hi Nell. Thank you. 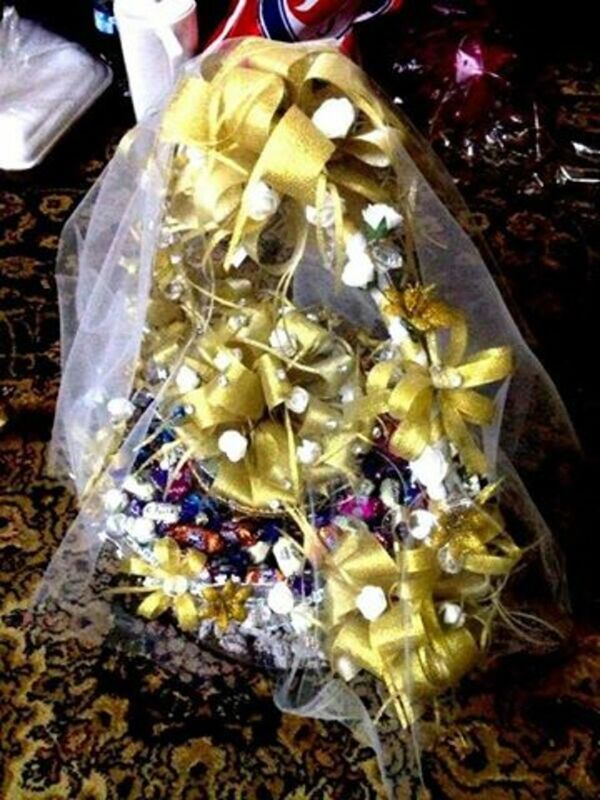 Giving flowers that have a meaning is a very nice gesture. I glad you liked the hub. I had fun putting it together and it was hard to stop. I wanted to add more flowers and photos, but it was getting rather long. Thanks again, Nell. Forgot to say, loved the music in the end video! Thank you very much, torrilynn. such a beauitiful hub and interesting indeed. Hi Rachel. Lilies of the Valley are so lovely. They are a peaceful flower. Thank you so much for reading, commenting and voting. Blessings to you, too, Rachel. Thank you, Manatita. Yes, I do know how special the lotus is for spiritual aspirants. 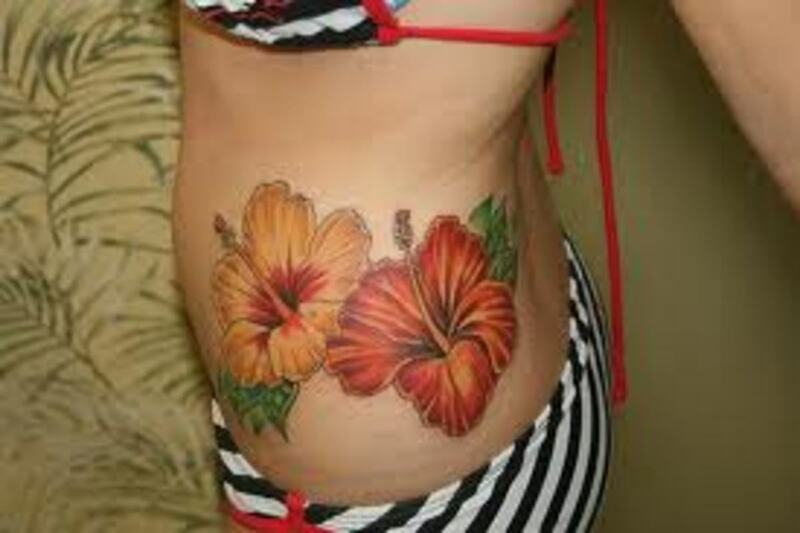 It is a beautifully symbolic flower showing spiritual blossoming and much more. Thank you so much for your visit and wonderful comment. Peace, my spiritual brother. My favorite flowers are Lilies Of The Valley. They are so small and so delicate and grow well in the dark places between the trees. I do all other flowers too. Beautiful pictures. Voted up. Blessings to you. Interesting and beautiful Hub on flowers, Phyllis. Well presented and with some truly great images. I like the poems and quotes, particularly the one from Sri Krishna. You may know that the lotus is very special for spiritual aspirants. Om Shanti! Hi Glimmer Twin Fan. Glad you enjoyed my article. Thank you very much for stopping by and commenting. How interesting. I've never really thought about the symbolism of flowers, but it makes such sense. We give red roses for love etc.... 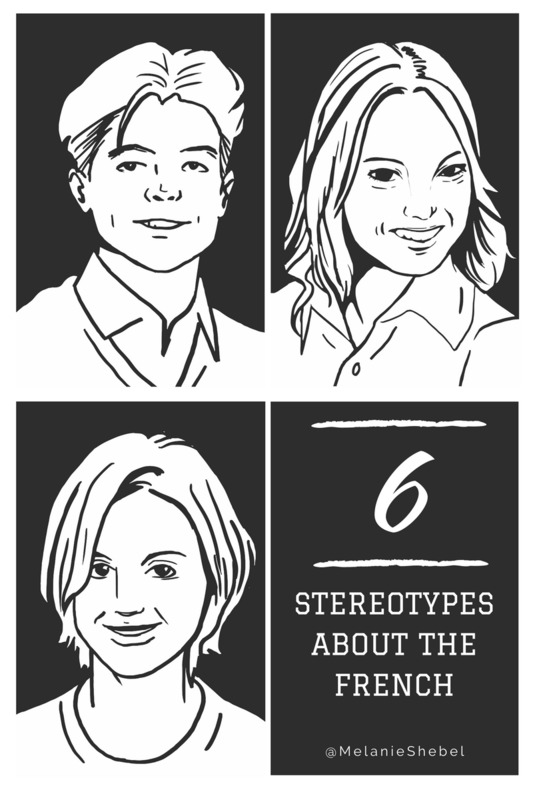 I enjoyed this article! Hi Poetryman. I favor the Lotus also. It is a peaceful flower. You are right, flowers do add beauty to the day. Thank you so much for the visit and comment. Flowers always add a little bit of beauty to the day. Of this group I favor the lotus and amaryllis. Hi Faith. Such a lovely comment to receive, thank you. I love the Magnolia blossom - it is exquisite. We don't have Magnolias here in Nevada. I remember in the Pacific Northwest and California we had Tulip Trees which were very similar to the Magnolia. I will have to hop over to your hood to read about the Magnificent Magnolia. I just had to give special attention to the Lotus blossom. 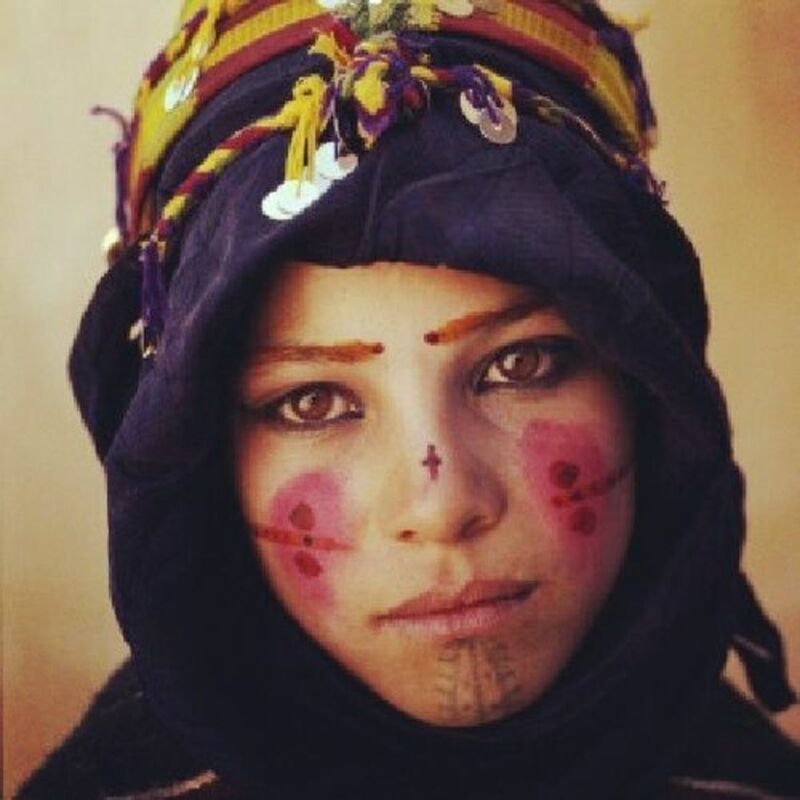 It is beautiful and sacred to many cultures. I love the serenity and beauty of it. Thanks again, Faith - for the votes and sharing, too. What a beautiful hub and so interesting too. I have always found the meaning of the names, colors, etc. of flowers fascinating. Being from the South, I just can't help but to love the Magnificent Magnolia blossom. It's meaning is Dignity and nobleness - True magnificence. I did a hub one time that focus solely on those flowers with the meaning of love, and had to cut it off at some point, as there are so many. I love your choice of flowers here to highlight and found their meanings interesting. Beautiful video too. I enjoyed reading your lovely thoughts you have shared here. I hope you are enjoying a peaceful Sunday afternoon.